Bishop Soto, together with Celeste V Spitz, who has written the below letter, we request that you return Fr. Jeremy Leatherby to Presentation of the Blessed Virgin Mary Parish. I am respectfully writing this letter to you to request the return of Fr. Jeremy Leatherby to his priesthood in our diocese. I have reviewed the letter you sent to your priests regarding Fr. Leatherby’s case and believe this is just another band aid on a horrible wound that has begun to fester. Your people want healing to begin whether that is returning Fr. Leatherby to his post or allowing his case to be heard. The time has come to move forward. There are so many of us that crave the true teaching that Father Leatherby gave us. You personally saw how a young priest on fire with faith brought Presentation Parish back from the ashes to a flourishing church and school. Father Leatherby is open to allow the Lord and our Blessed Mother to work through him. This is what your people desire. 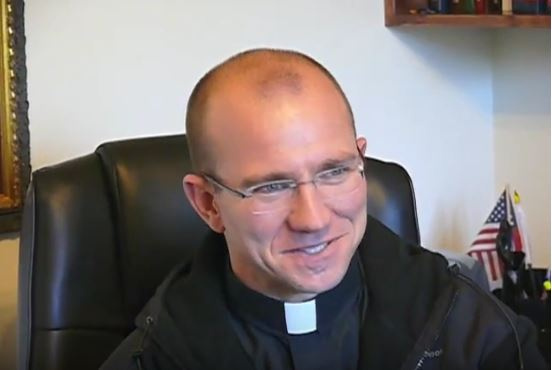 To have a priest that is truly faithful to the authentic Catholic Church. A priest that will show us the way to sainthood. A priest that is not afraid to teach truth in a time of turmoil. You have an opportunity to be a true leader inspired by Christ. A leader that will stand up and turn back to the true teaching of the Catholic Church. A leader where your actions show you believe in the true faith. You can be the leader your flock desires. A leader we can support and love. God is giving you an opportunity to do what is right. Allow our diocese to be a brilliant shining light in the darkness that is trying to consume the Catholic Church at this time. Allow our diocese to be a leader in truth and justice. If you do this, your flock will stand behind you every step of the way. Bishop Soto, thank you for your time in reading this letter. I hope the people of the Diocese of Sacramento can begin to work together with you rather than against you. A beautiful start to that would be to have this issue with Fr. Leatherby settled and have him returned to us.